Everyone knows what a huge success Pokemon Go has been - combining Augmented Reality with GPS location tracking. We can also see the impact of personalized ads “following us” when we visit different websites online... 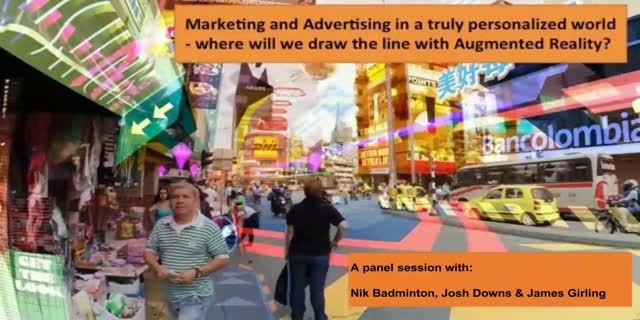 But how will we feel when we start seeing personalized location based marketing in the ‘real’ world, as Augmented Reality starts to change the way we experience supermarkets, high streets, and even getting around on public transport? Using Keichi Matsuda’s "Hyper-Reality" video as a starting point, we will be asking where we think boundaries will be set by consumers and how much our lives will change as a result of Augmented Reality infiltrating our daily lives.